Portland Head Light, is a historic lighthouse in Cape Elizabeth, Maine. 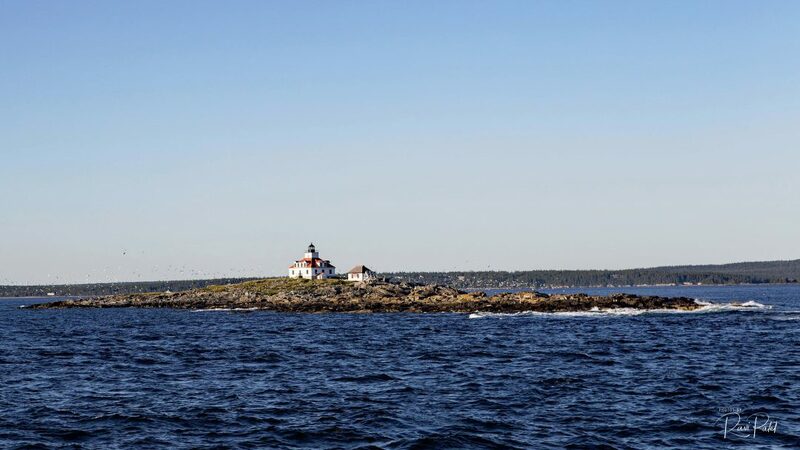 The light station sits on a head of land at the entrance of the primary shipping channel into Portland Harbor, which is within Casco Bay in the Gulf of Maine. 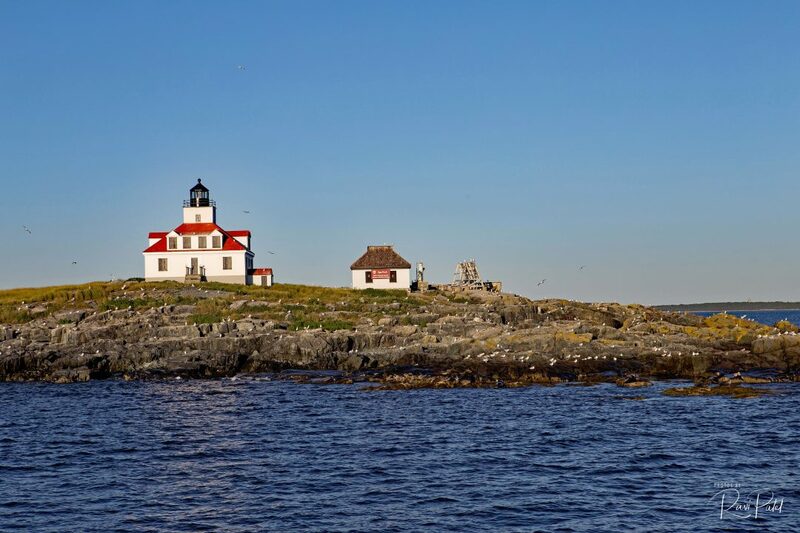 Completed in 1791, it is the oldest lighthouse in the state of Maine. 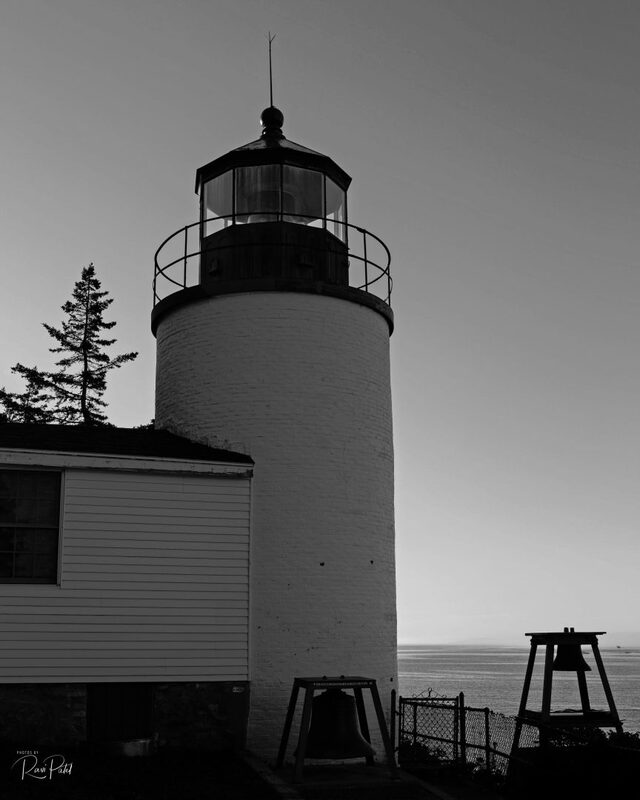 On January 21, 1988, the lighthouse was added to the National Register of Historic Places under the title of Bass Harbor Head Light Station and belongs to the U.S. Coast Guard. The tower and lighthouse viewing area offers a vantage point to see a panoramic view of the harbor and the islands in the distance. 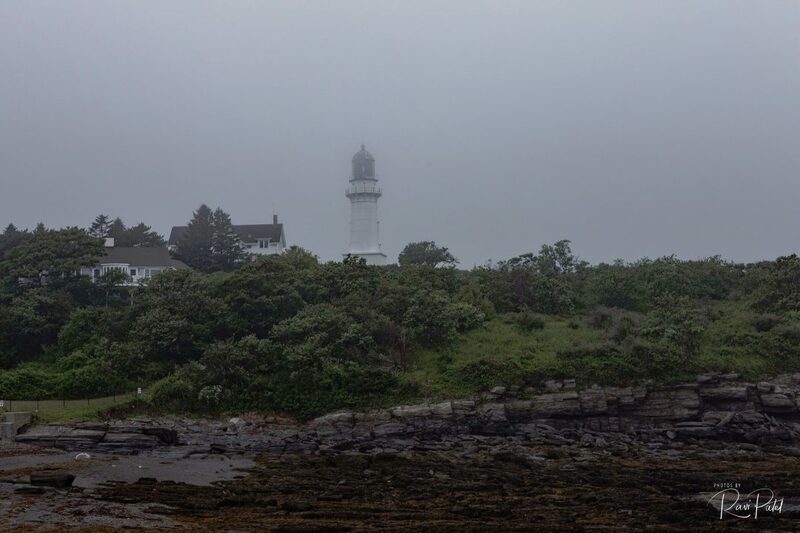 This is easily one of the most, if not the most, photographed lighthouse in New England. 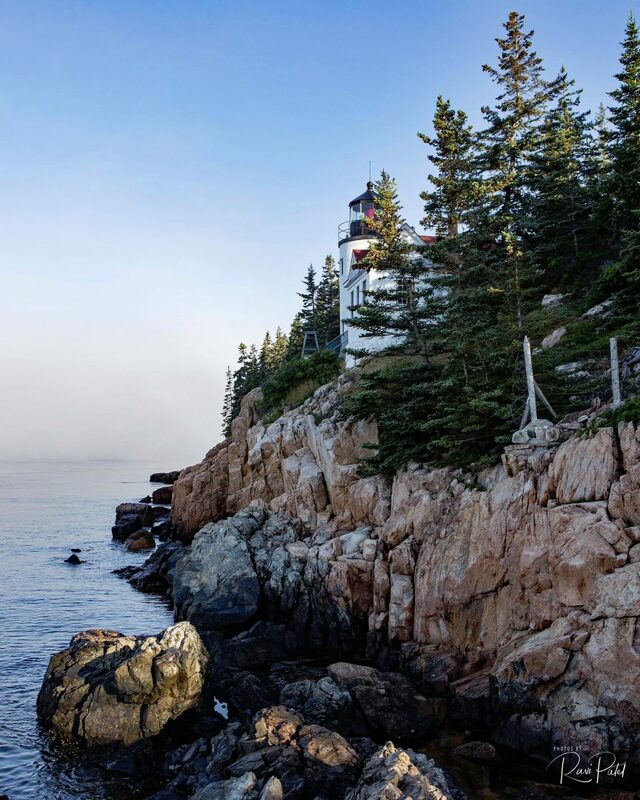 The cliffside Bass Harbor Head Lighthouse in Acadia National Park, Maine marks the entrance to Bass Harbor on the southwestern side of Mount Desert Island. The lighthouse, built of brick in 1858 on a stone foundation, stands 56 feet above high water. 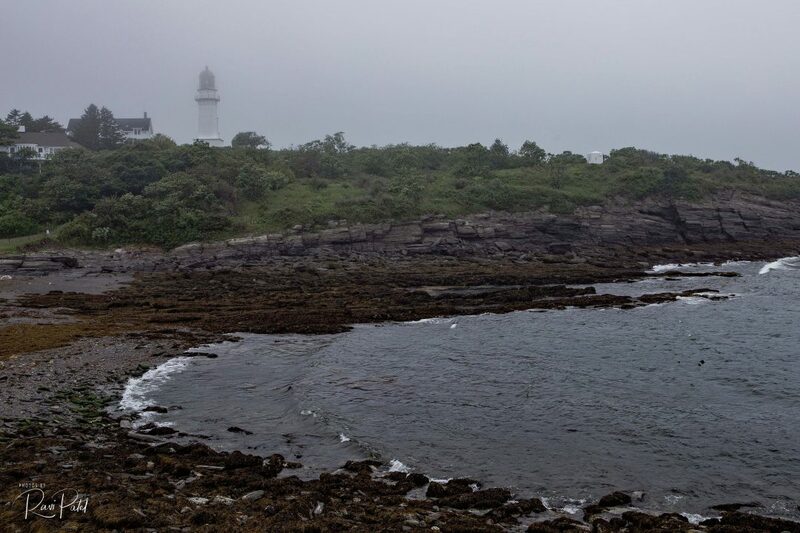 The best view of this lighthouse is from the ocean, but this side view shows the treacherous rocks of the cliff. 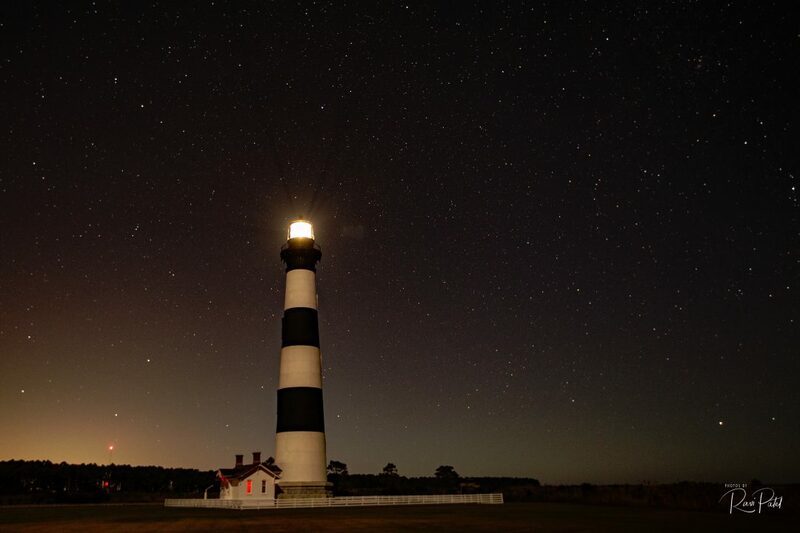 The current Bodie Island Lighthouse is the third that has stood in this vicinity of Bodie Island on the Outer Banks in North Carolina and was built in 1872. 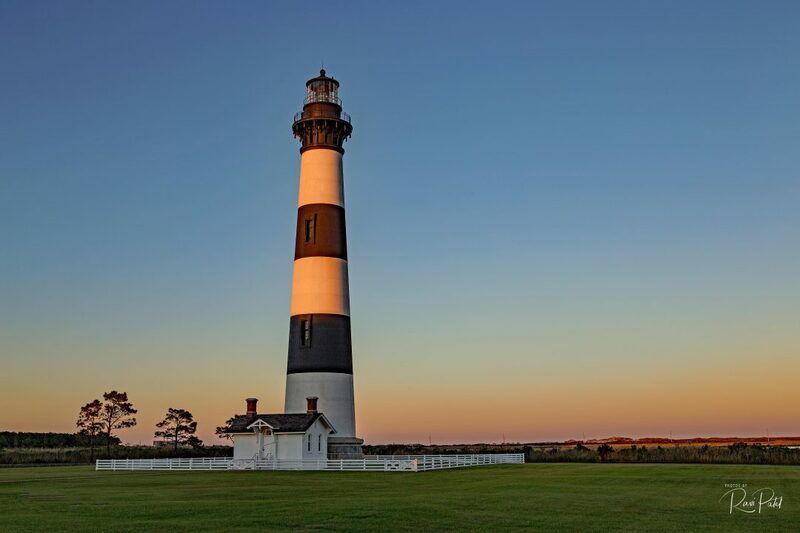 It stands 156 feet tall and is located on the Roanoke Sound side of the first island that is part of the Cape Hatteras National Seashore. The lighthouse is just south of Nags Head, a few miles before Oregon Inlet. It was renovated from August 2009 to March 2013, and was made climbable by the public. There are 214 steps that spiral to the top. 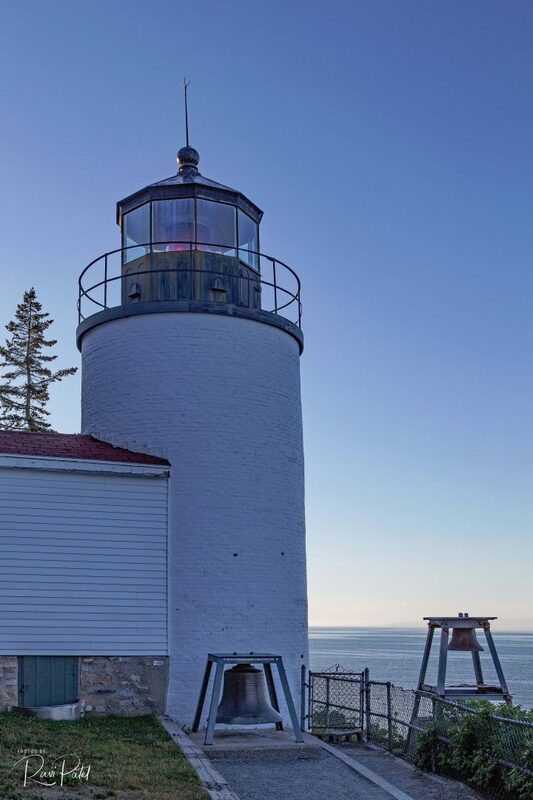 The 170-foot structure is one of only a dozen remaining tall, brick tower lighthouses in the United States — and one of the few with an original first-order Fresnel lens to cast its light. The Currituck Beach Lighthouse, Outer Banks, North Carolina, is open to visitors, who can climb the 220 steps to the top for unparalleled views of the Whalehead in Historic Corolla, the Currituck Sound, and the Atlantic Ocean.